Following successful negotiations, our services continue. We will help monitor the implementation of your move, including tenant improvements and fulfillment of the landlord’s lease commitments. Our goal is to develop long-term relationships with our clients through continued support long after the lease is signed. 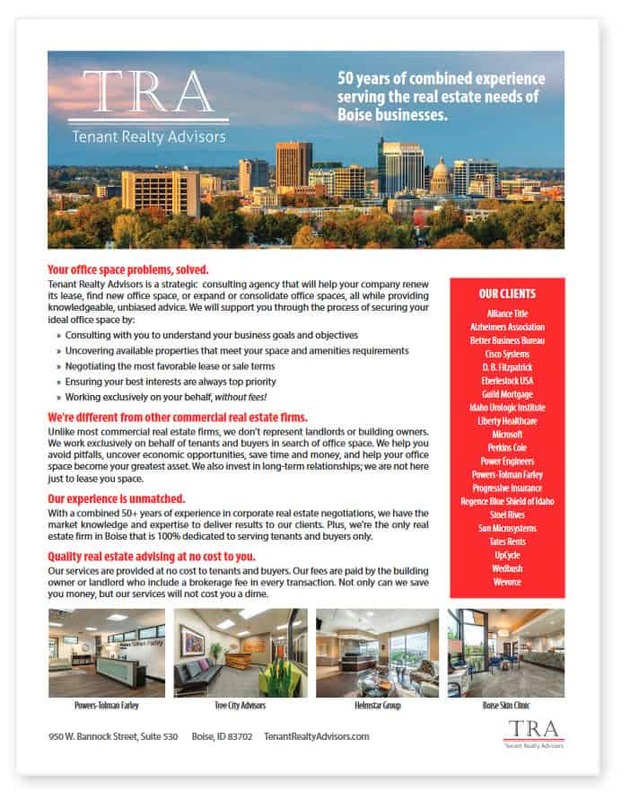 If you are considering buying or leasing a new space in Boise, Eagle or Meridian for your company or simply renewing your current lease, your first step should be a call to Tenant Realty Advisors. Searching for Commercial Real Estate Listings? It’s now much more difficult!